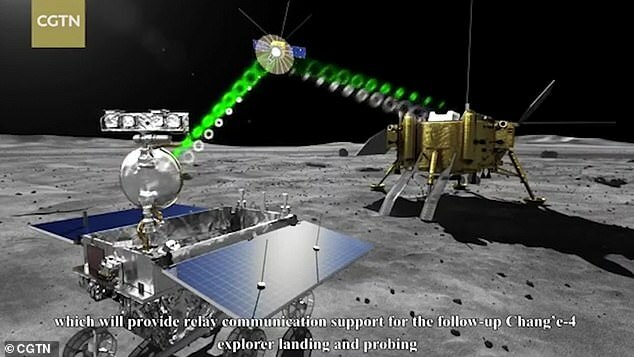 China is today sending a probe to uncharted territory on the dark side of the moon. Chang’e-4 will target our natural satellites South Pole-Aitken basin’s Von Karman crater, the largest in the entire solar system at 15,000 miles (24,000km) across and eight miles deep. 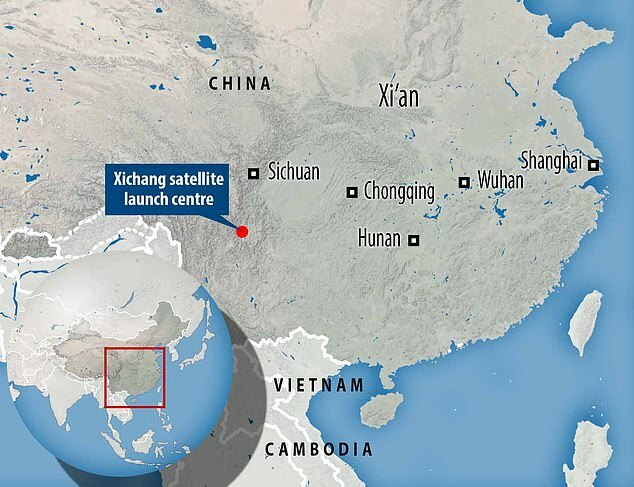 It is due to take-off from the Xichang satellite launch centre in Sichuan, south-west China at 6:30 GMT. It is expected to perform a ‘soft-landing’ and land on the moon after a 27 day journey through space. Exploring the huge divot on the surface of the moon may shed new light on its history and geology by collecting rocks that have never been seen before. Researchers hope the huge depth of the crater will allow them to study the moon’s mantle, the layer underneath the surface, of the moon. 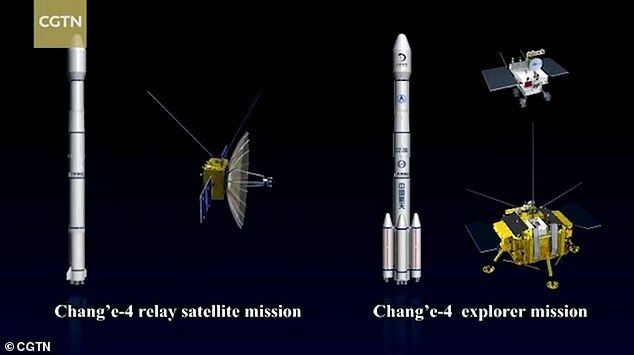 Chang’e-4 has been described as ‘hugely ambitious’ and heralded as a sign of China’s growing intentions to rival the space exploration prowess of the US, Russia and the EU. China has a pock-marked history of space exploration and its most notable high-profile endeavour of late ended in humiliation when its space Station, Tiangong-1, crashed back to Earth after falling out of orbit. 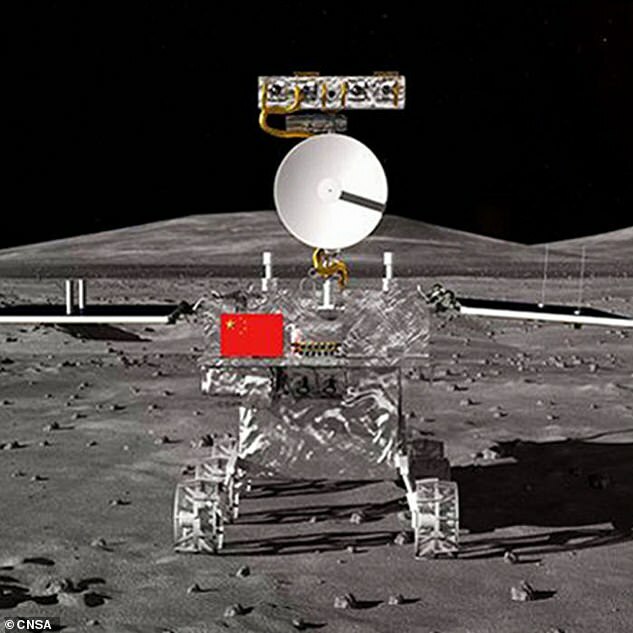 It hopes to restore its reputation with the Chang’e-4 mission and become the first country to ever successfully undertake such a mission. The moon’s far side is also known as the dark side because it faces away from Earth and remains comparatively unknown. 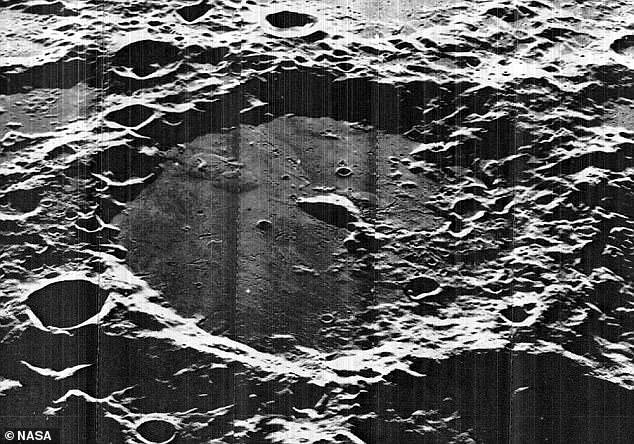 It has a different composition to sites on the near side of the moon where several previous missions have landed and explored. The mission is scheduled to blast off aboard a Long March 3B rocket and it is hoped it will propel the Chinese space program to alongside the global superpowers in lunar exploration. 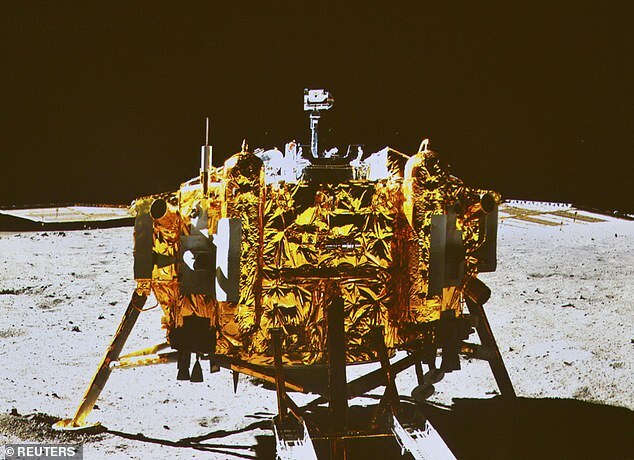 Chang’e-4 is a lander-rover combination and will explore both above and below the lunar surface after arriving at the Von Karman crater following its month long trip. It will undergo radio-astronomical studies ‘free from interference from our planet’s ionosphere, human-made radio frequencies and auroral radiation noise,’ space industry expert Leonard David told Space.com. 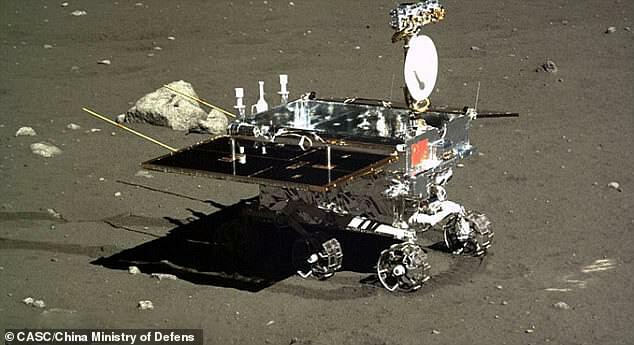 China landed its Yutu, or ‘Jade Rabbit’, rover on the moon five years ago and plans to send its Chang’e-5 probe there next year. Change-5 is the follow up to the current mission and will return to Earth with the first samples from the moon since 1976. The Asian superpower is also considering a crewed lunar mission. On September 29, 2011, China launched Tiangong 1. A second space lab, Tiangong 2, launched on 15 September 2016. A larger basic permanent space station would be the third and last phase of Project 921. The first section, designated Tiangong 3, is scheduled for launch after Tiangong 2. China also plans for its first uncrewed Mars exploration program could take place sometime between now and 2033, followed by a crewed phase in 2040-2060. 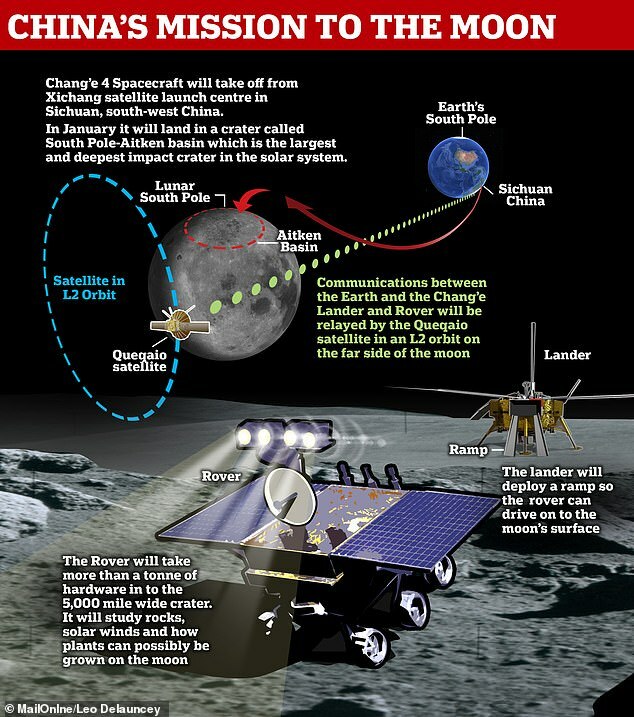 The mission was named after Chang’e – the goddess of the moon in Chinese mythology. It has put a pair of space stations into orbit, one of which is still operating as a precursor to a more than 60-ton station that is due to come online in 2022. It is also planning a Mars rover mission for the mid-2020s. To facilitate communication between controllers on Earth and the Chang’e-4 mission, China launched a relay satellite named Queqiao. This will be the primary form of communication between Earth and the spacecraft. The probe and explorer will use Queqiao to get their findings back to China. As the landing is happening on the dark side of the moon it required its own satellite to be able to send information back. 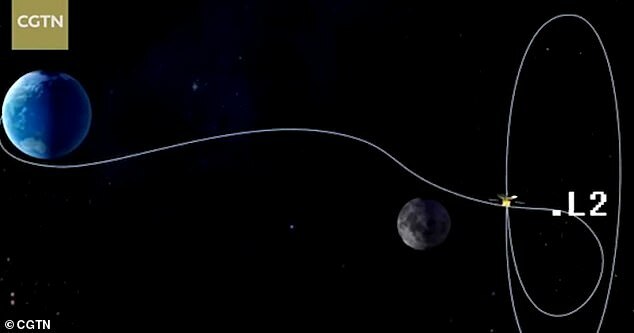 The relay satellite will fly to the Earth-Moon point in orbit around 80,000 km away from the moon’s surface.